UPDATE 9:37am: Fire is knocked down at this time. 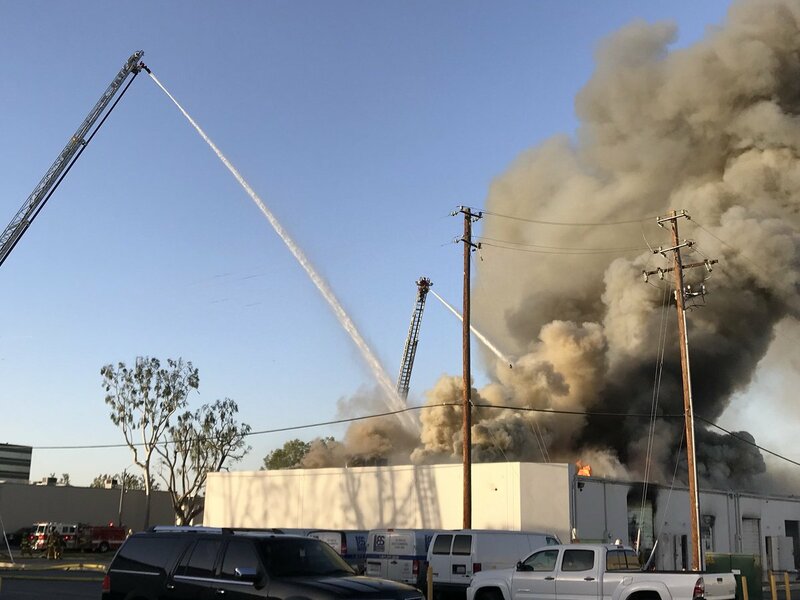 UPDATE 9:25am: Fire units are starting to clear. 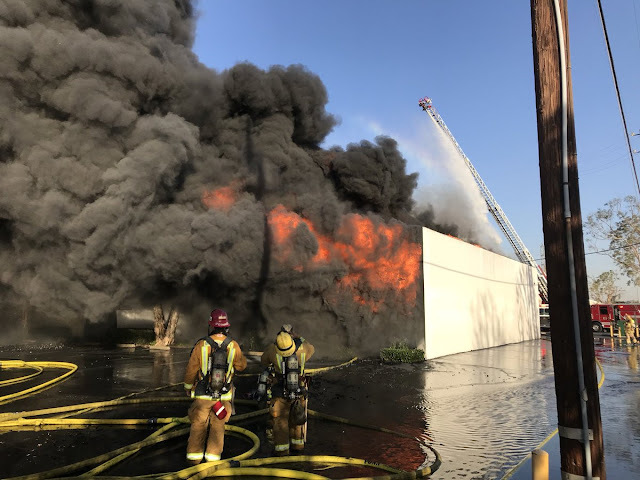 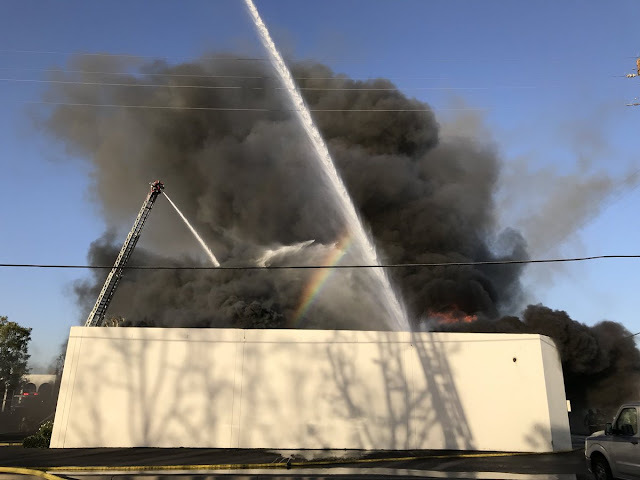 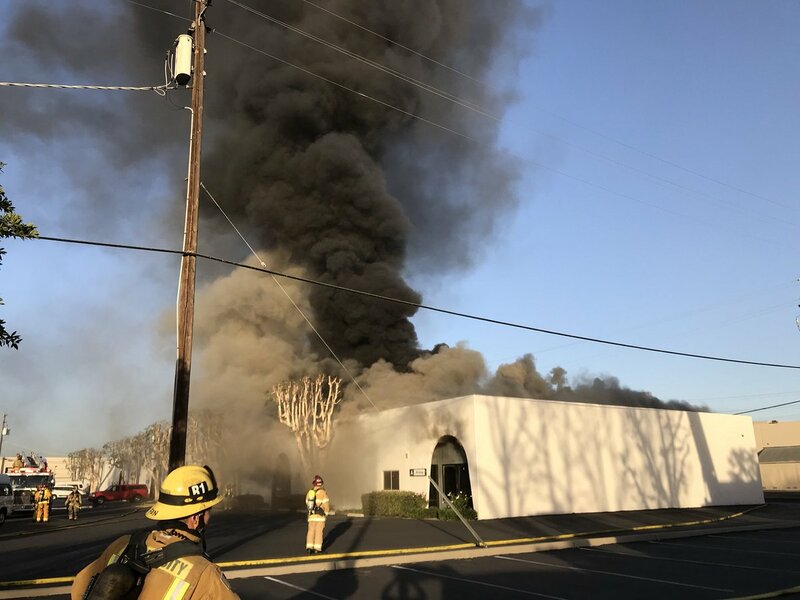 UPDATE 8:32am: According to Huntington Beach Fire Department, HBFD units are enroute to Anaheim as part of a task force for a commercial structure fire. 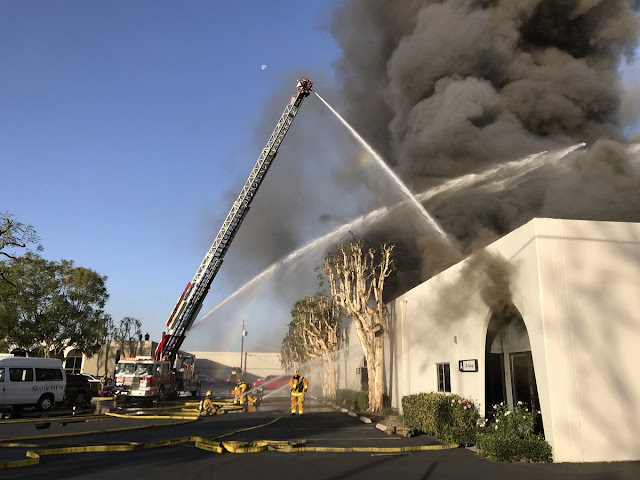 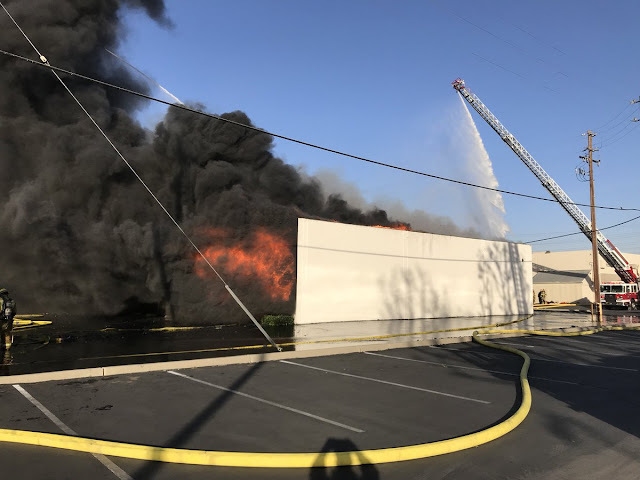 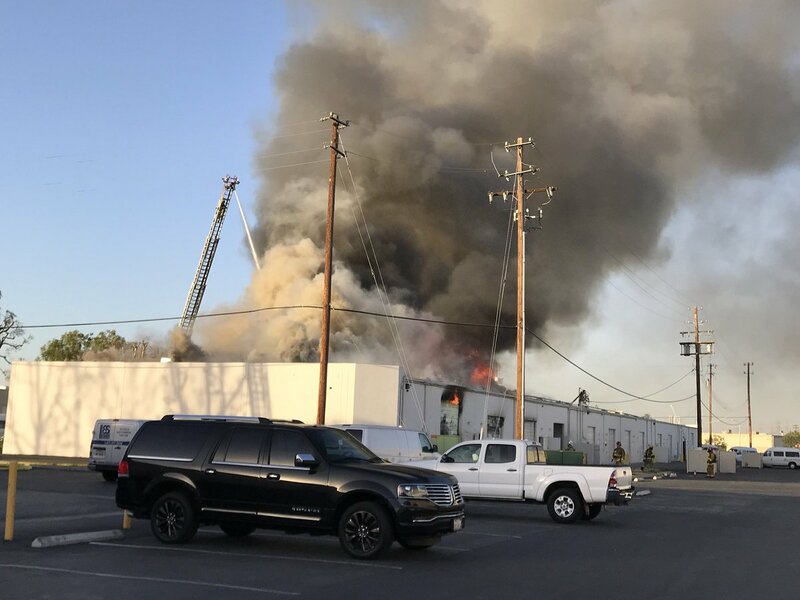 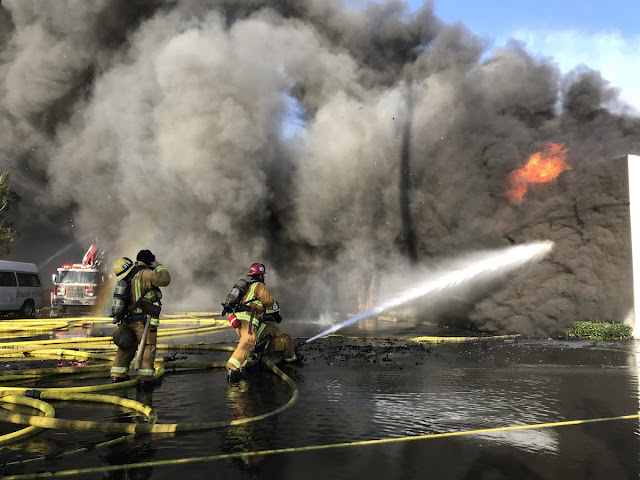 BREAKING NEWS: Anaheim, California - Anaheim Fire Department according to their Twitter page are battling a 3rd-alarm commercial fire at 1600 block on Sinclair Street in Anaheim, California on Thursday, December 7th, 2017.